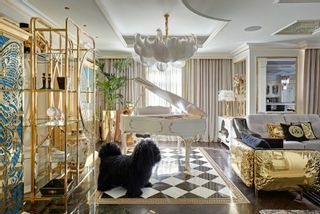 Tatyana Myronova, the designer of this eccentric and enchanting Interior Design project, is famous for her exquisite interiors in the American Neoclassical style. 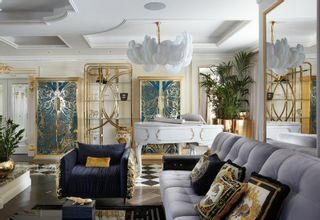 The design of this apartment is not experimental rather it is a reflection of the outstanding personality of the apartment’s owner – Giya Eradze, Director of the Royal Circus, Russia. 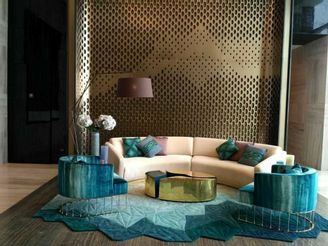 The apartment is designed to receive guests and partners from show business and it is intended to be a party and public arena. 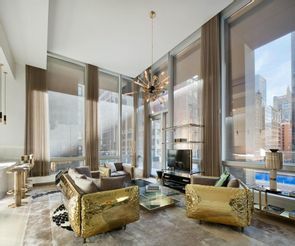 Tatyana enjoyed working with the owner who possesses an interesting and extraordinary personality. 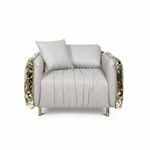 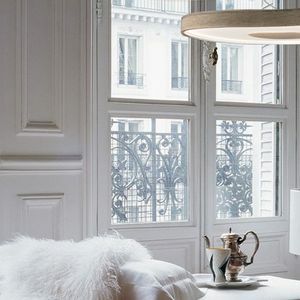 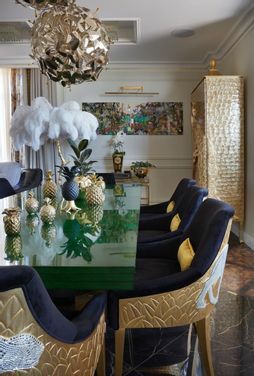 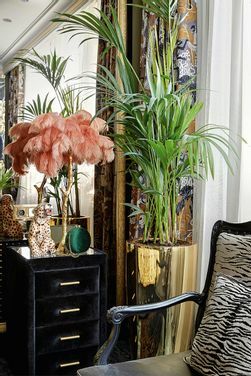 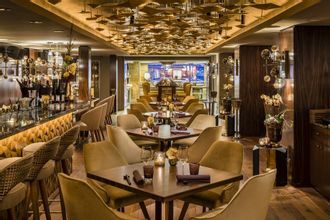 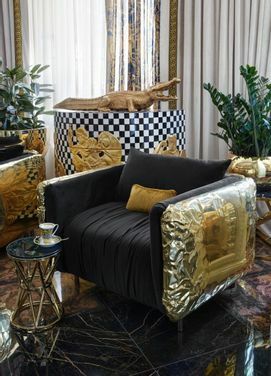 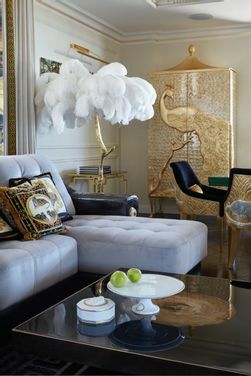 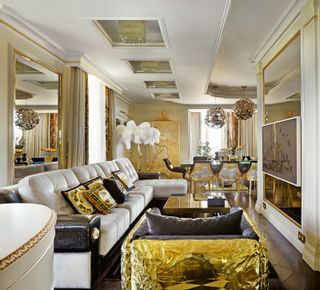 The interiors are passionate and exotic with the selection of equally exotic furniture and accessories such as Boca do Lobo, Koket, A Modern Grand Tour, Eichholtz and Versace.